Our family has never yet got the hang of watching TV—the few times we’ve paid for cable or a licence, we never remember to watch it and cancel it within the month. So, we’ve made peace with watching documentaries etc. on DVD, gulping down several episodes at a time, long after everyone else has discussed it to death. Over the last couple of weeks, we’ve watched Series One and Series Two of Downton Abbey—4 hours of it yesterday—and have thoroughly enjoyed it. What stood out to me was the redemptive value of work, how the characters become sweetened, matured and fully rounded once they find useful work. Lady Edith, the bitter, jealous, carping sister becomes sweet once she is useful—as a tractor driver, as a nurse. Lady Sybil finds such meaning in nursing the badly shell-shocked, maimed, gassed and burnt soldiers, that she finds herself unable to retreat to the world of parties, dresses, hunting and idleness. 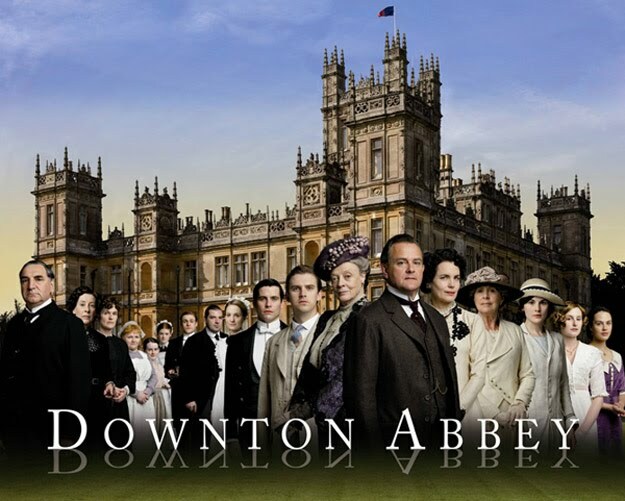 Even Cora, Lady Grantham, the American heiress, finds herself energized and finds purpose in life once she was has a job: running Downton as a convalescent home. Matthew changes his tune once Lord Grantham points out that his own mother found meaning, purpose and usefulness in running the hospital. Would he deny Moseley a job—and worse, the sense of being useful in it? He does not, and Moseley is instantly happier. Once his employers leave, he mopes around again, until the soup kitchen project keeps him busy. The happiest characters in Downton are those who do a good job, and who are valued for it, Carson, Mrs Hughes, Mr. Bates, Anna. The least happy are those not absorbed in their work, or those who seek to shirk it, like Thomas, the evil footman, and bitter O’Brien. Work which helps others or which is valued by others provides us the validation, significance and respect we appear to need as a species. However, work one loves doing is God’s gift to man, and I guess we should keep seeking until we find it. The work we love doing may not necessarily be our paid work. For instance, no work I have ever done has been as satisfying or pleasurable as writing this blog. Yet, the income from it is negligible, and that’s okay, since I am not doing it for the money, at least not at present. In reality, there is a long period for many of us before the work we love supports us—and for that period, the joy in doing work we love must be our ethereal consolation. And running a house, as Carson and Mrs Hughes could tell us– is among the most useful work: a mental, physical, psychological and spiritual blessing to those who live in it. It is work I have no talent for, or interest in—though I thoroughly appreciate and enjoy the efficiency, neatness and cleverness of a well-run house. Two years ago, my husband, Roy, changed his work, from being a professor of mathematics, to running a largely automated micro-publishing business which supports our family, and running our home smoothly. All the years, when I was ostensibly a housewife, but in fact, read and wrote and dreamed a lot, I used to constantly wonder aloud to Roy what full-time homemakers did. Well, now that Roy is doing it, I no longer wonder. Keeping food in the pantry and refrigerator, cooking it, getting it on the table, clearing up, keeping up with the dishwasher, and laundry, and clothes, and tidiness, maintenance, replacements and paperwork (even with outsourcing the cleaning, and quite a lot of housework and odd jobs): wow, all this involves a lot of keeping one’s head on one’s shoulders and organization. No wonder our stress level has been reduced dramatically, almost eliminated, now that someone is doing it full time. And its no wonder that I have been the most creative that I’ve ever been. I myself would never make a good homemaker, I think. God knows, I’ve tried for the first 21 years of our marriage until Roy took over. Just the very thought of dishes, and laundry, and cooking and cleaning made me too depressed to function. Oh Carson, oh Mrs Hughes, oh Anna, why is your breed extinct?